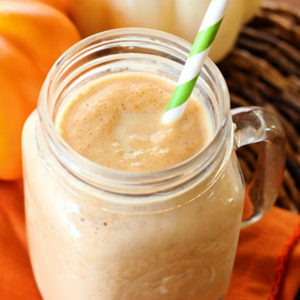 When I was in college one of my favorite things to drink for breakfast was the Pumpkin Smash from Jamba Juice. During the fall I probably had at least 3-4 a week! Let’s just call it a guilty pleasure. 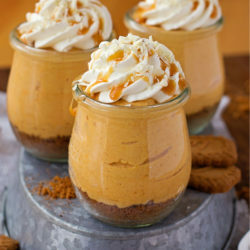 Ok, so maybe it’s not so guilty- these babies are loaded with non-fat vanilla fro-yo, low-fat vanilla yogurt, low-fat milk, and of course pumpkin pie filling (which has fiber, potassium, protein, and vitamin A). See, that’s not so bad, right? Anyway, after moving to Florida and not living anywhere near a Jamba, I figured it was time to try and make my own. Guess what? It was pretty easy. The list of ingredients is a short one and all you need for prep is a blender and a chilled glass. That’s it! Gather, combine, blend, pour, and in minutes you’ve got a delicious fall treat! Happy blending! 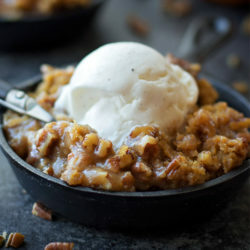 One of my favorite fall drinks made at home! 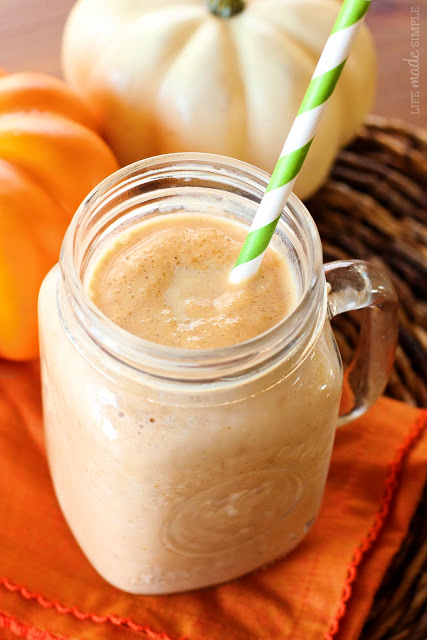 This skinny smashed pumpkin smoothie is light, creamy and perfectly spiced. 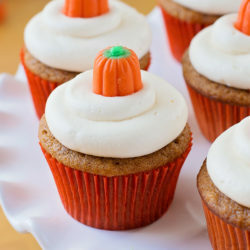 Pumpkin has never tasted so good! Combine all ingredients in a blender, putting the heavier ones towards the top (ice, frozen yogurt etc.). Blend until smooth, about 1-2 minutes. Pour into a chilled glass and enjoy! I so want this smoothie. It looks beyond good!